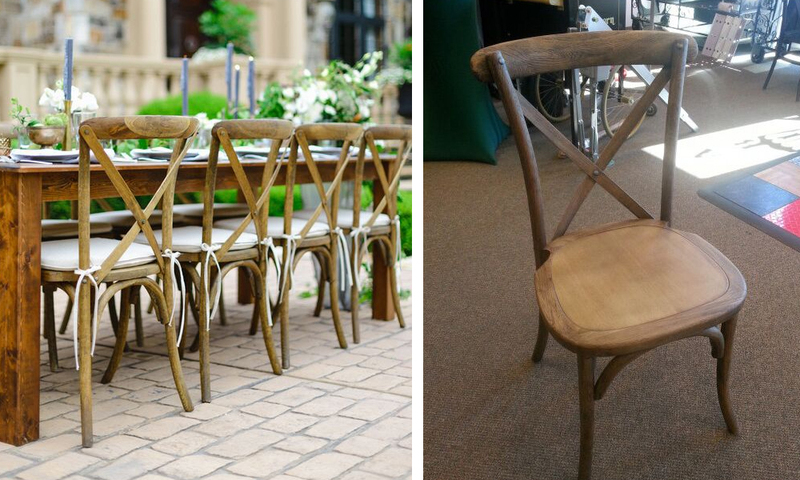 Crafted of solid wood and handsomely distressed with a weathered finish, these chairs pair wonderfully with our harvest tables for a modern farm style. 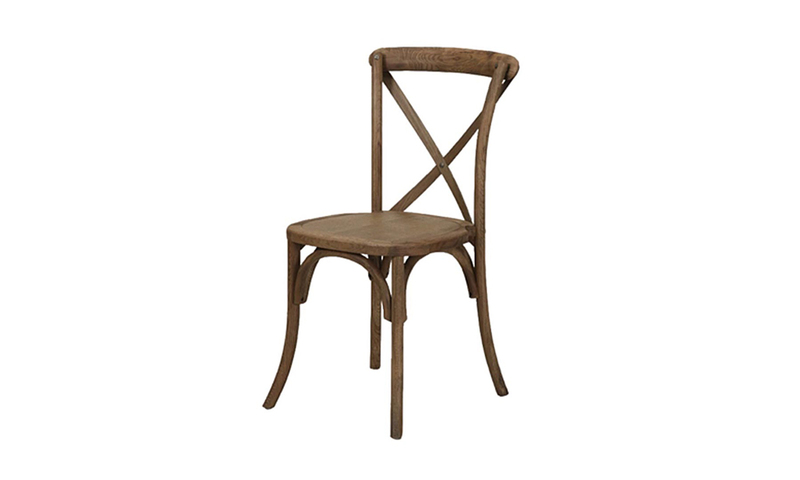 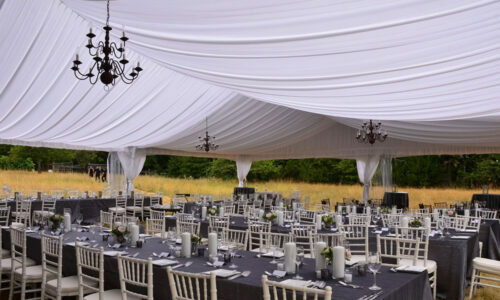 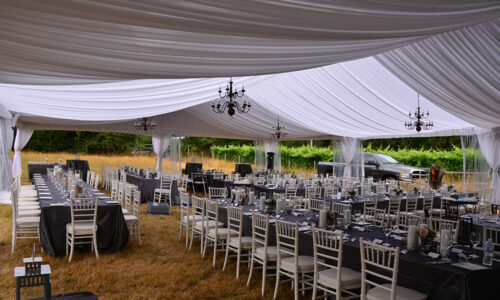 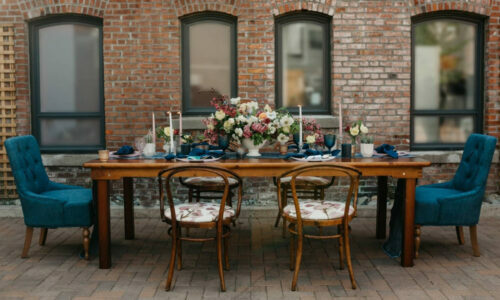 Modeled after the popular European café chair, the Crossback Vineyard Chair lends a modern farm style to any affair, from formal weddings and private parties to corporate events. 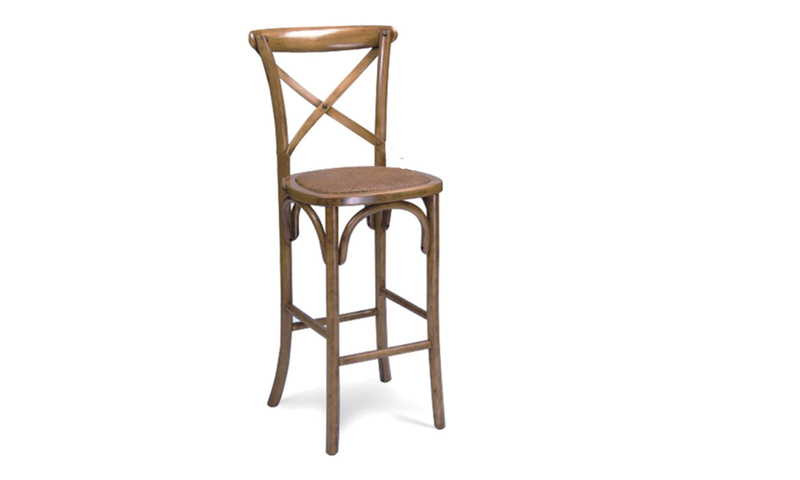 Consider a Crossback stool to place in a reception or bar area.